We are saddened to report the death of Sir Richard Rodney Bennett. The composer is known for his many concert works, his love of jazz and for his contribution to fim music. Among his film scores were several in the 1960s/70s for director John Schlesinger including "Billy Liar", "Far from the Madding Crowd" and "Yanks" though he is also well known for "Murder on the Orient Express" and "Four Weddings and a Funeral". For British television his contributions spanned several decades from the early historical Doctor Who story "The Aztecs" through "The Charmer" (a series starring Nigel Havers) to "Gormenghast", the BBC's adaptation of Mervyn Peake's novels. Though knighted in 1998 the composer had stayed in New York for many years. He died peacefully on Christmas Eve at the age of 76. The film version of the hit musical "Les Misérables" will start showing in cinemas across the world in the next few weeks. The film's songs were recorded live on the film set, to allow the actors to give completely genuine performances. You can find out more about the movie's approach to sound design at a BAFTA Materclass with the musical's composer Claude-Michel Schönberg on 18th January at the BFI Southbank Centre. Meanwhile the film soundtrack will be released shortly and can be pre-ordered now at Amazon.com (from 21st December) and Amazon.co.uk. As a taster here's the International Trailer on YouTube. If you are a fan of Doctor Who Music and the music of long-standing series composer Murray Gold, then Sydney Opera House is the place to be this weekend. 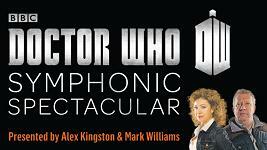 Following a successful show in Melbourne in February, series conductor Ben Foster will now conduct The Metropolitan Orchestra in a new show presented by Alex Kingston and Mark Williams (otherwise known as Rory's daughter and dad). For more information including times and booking information see the further details on the Sydney Opera House website. 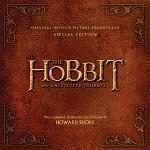 Howard Shore's music for the first installment of "The Hobbit" is available from today in the UK and tomorrow in the US. 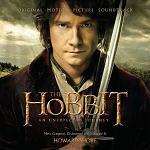 Fans of "The Lord of the Rings" movie scores will not be disappointed since Shore uses a consistent style, referencing some of the themes already associated with "The Shire" and introducing new themes for the Hobbit movies. The standard soundtrack CD is available from Amazon.co.uk and Amazon.com. Like the earlier Lord of the Rings movies, a special edition CD is also available with a leather style finish - at these alternative links Amazon.co.uk and Amazon.com. 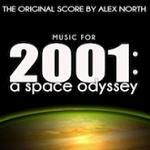 One of the most famous cases of a rejected score is Alex North's score for the movie "2001: A Space Odyssey". North's original score, recorded back in 1968 and beautifully restored and remastered, is available to download from today at Amoeba Music and a dedicated website at www.AlexNorth2001.com provides more detail about the new album. Stanley Kubrick commissioned North to create music for the film. However the director decided to keep the temporary soundtrack of Classical Music he had put together. North's music has been released before as a re-recording conducted by Jerry Goldsmith, but this new release was able to use the original tapes. 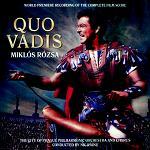 "Quo Vadis" first established Miklos Rozsa as a composer for biblical epic movies. In this case the film is set during the early days of Christianity where its followers were persecuted by the Romans under the Emperor Nero. Rozsa sought to incorporate in his score an authentic feel for the music of Roman times, based on what little was known about the music of the early Greek and Roman Civilisations. With a huge string section and a bank of French Horns there is no denying the power of his music. This impact has been faithfully recreated in this recording by The City of Prague Philharmonic Orchestra and Chorus conducted by Nic Raine. The double album is available from Tadlow Music which includes a number of track samples. 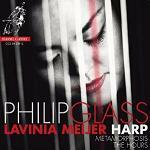 It's not often that Harp music hits the classical charts, but Lavinia Meijer playing Philip Glass' Metamorphosis has done exactly that with her mesmerising performance. Originally written for piano solo, Metamorphosis could be considered the signature sound of Philip Glass, and the composer has adapted some of the movements for later works such as the soundtrack of the film "The Hours". Lavinia Meijer plays the music with a captivating intensity as can be seen in this youtube video, and here she is talking about the music on a Dutch chat show. The album can be found at Amazon.com (available now for download) and Amazon.co.uk (CD on 26th November). 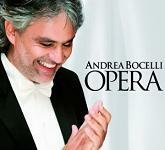 Andrea Bocelli (the Italian tenor with a unique voice) has released "Opera", a collection of arias from the world of Opera - from "La donna e mobile" to "Nessun Dorma". This is available now from Amazon.co.uk and it can be pre-ordered from Amazon.com. 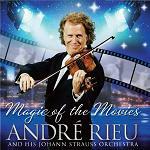 Famous for his waltzes and other music by Johann Strauss, Andre Rieu's "Magic of the Movies" now looks at music associated with the cinema. The new double-album is available from Amazon.co.uk. The pianist Lang Lang has dazzled audiences across the world with his performances, with virtuoso works by Liszt and substantial Piano Concertos at the core of his repertoire. For his latest album he has turned to the more intimate solo works of Frederic Chopin (though frequently also requiring a viruoso technique). Lang Lang's "The Chopin Album" is a double album of Chopin's music, consisting of many etudes and a smattering of other works including waltzes, polonaises and nocturnes. 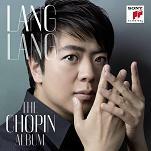 In this youtube video Lang Lang performs a sample of tracks from the chopin album. The album itself is at Amazon.com (now) and Amazon.co.uk (from 29th October). A new release from Music Box Records has music from two films by director Jean-Louis Bertuccelli. 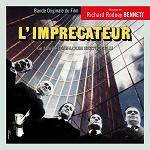 The first film is 1977's L'Imprecateur (released internationally as "The Accuser") with music by Richard Rodney Bennett. Bennett's music is presented in the form of 2 orchestral suites which are generally dark and atmospheric in tone frequently using atonal techniques. The second film from 1982 is "Interdit aux moins de 13 ans" (more commonly known as "Lucie sur Seine") with music by Gabriel Yared which is rather more relaxed in an ambient style, including the song "L'autre rive" performed by Ann Calvert. More details and ordering at Music Box Records. 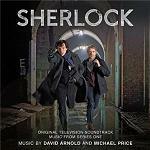 The music for the BBC's Sherlock was composed by David Arnold and Michale Price. Michael Price's official web-site now has sheet music from the series. For piano there is a medley of music with the Sherlock Title theme, Watson's theme and the Hero Theme (when the duo are chasing a taxi in series 1). 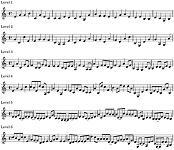 The Woman Theme from the episode "A Scandal in Belgravia" is available in an arrangement by Anthony Weeden for Violin and Piano. Michael Price invites you to upload videos playing this music to YouTube, and here is an example alongside. Things are ramping up for James Bond's 50th anniversary and the release of "Skyfall", with lots of TV coverage. 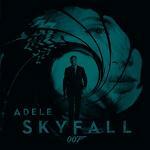 Today sees the release of Adele's Song for the new movie, and here is the full version of Adele's Skyfall complete with video and lyrics. Adele went to Paul Epworth to help write the song and provide the orchestral arrangements, and it certainly sits neatly within the style of the James Bond Sound. The track can be downloaded from today from Amazon.co.uk and Amazon.com and the single CD will be available later this month from Amazon.co.uk, and around the same time, the film soundtrack by Thomas Newman will also be available - pre-order now at Amazon.co.uk and Amazon.com. Nic Raine is a familiar name to soundtrack collectors, having conducted many film music recordings with the City Of Prague Philharmonic Orchestra. Among recent releases for Tadlow Music are "El Cid", "The Alamo", Lawrence of Arabia, "Conan the Barbarian" and "Taras Bulba" all beautifully recreated by Nic Raine and the musicians in Prague. Nic Raine has also done some significant work as an orchestrator for composers as diverse as John Barry, Vangelis and Julian Nott. During the past 2 or 3 years Nic Raine has composed several film scores and it is good to hear these now on CD. The first score "Shores of Hope" sounds very impressive - hear sample tracks and find out more at Tadlow Music. You may have heard the album "Paradiso" released last year with Hayley Westenra singing music by Ennio Morricone. This year Morricone has embarked on another collaboration, this time with singer Romina Arena who has already performed some of the tracks on tour. The new album is called "Morricone Uncovered" with songs based on Morricone's film music from "Once Upon a Time in America", "The Legend of 1900", "The Untouchables", "Malena", "Le Professionel", "For a Few Dollars More" and other films. The album is released tomorrow and can be ordered at Amazon.co.uk and Amazon.com. More at the Perseverence Records and Romina Arena websites. Today's blog post is a mix of good news and bad news. First the good news: The improvements to our Sheet Music are now complete. If you have previously printed Sheet Music from mfiles, you may want to download it again. The old versions say "© Jim Paterson" at the bottom and the new verwions say "© Music Files Ltd". The improved formatting is more apparent on the more complicated scores. We have also improved the playback of our scores and you will notice the difference on our MIDI and MP3 files. The newest MP3 files are better quality at a compression rate of 128 kbps and using better quality samples. See Music File Types. And the bad news: mfiles sheet music, MIDI and MP3 files are all created using Sibelius. However Avid the owners of Sibelius have closed their main UK development and support centre with the intention of moving it to the Ukraine. Avid are experiencing financial challenges and this move is almost certainly a cost-cutting exercise, but Sibelius users are concerned this will result in reduced quality of support and affect future development of the software. If you also use Sibelius you can find out more at the Sibelius Users website and their associated Facebook Group, and join the campaign to seek the best long-term outcome for Sibelius. The Judge Dredd reboot has a different musical feel to the original film scored by Alan Silvestri. The new score leans heavily towards the industrial synth end of the spectrum. It was composed by award-winning Scottish composer Paul Leonard-Morgan who scored "Limitless" last year, did several series of the BBC's "Spooks" and was recently commissioned to write a new anthem for the US Olympic Team. The album is available to download from Monday 3rd September at Amazon.co.uk in the UK, with US availability still to be announced. Track samples can be heard on Soundcloud at Metropolis Movie Music and the composer's official site is at PaulLeonardMorgan.com. Following on from the recent announcement that John Williams is to receive a "Lifetime Achievement Award" at this year's Classic Brit Awards in October, the film composer has given a 2-hour interview with Classic FM the radio station. You can listen to the full interview here at the Classic FM website. Williams talks in depth about many aspects of his music and long career, including his relationship with two of the world's most famous film directors: Alfred Hitchcock and Steven Spielberg. 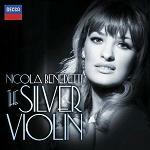 We make no apologies for mentioning Nicola Benedetti again this month. This is a busy period for the young violinist, and her new album "The Silver Violin" will be released on Monday. Benedetti is expanding her existing repertoire of classical works into film music, and this album has a distinct focus on music associated with the Silver Screen. The central work is the Korngold Violin Concerto, and the album includes John Williams' haunting theme from "Schindler's List", Shostakovich's Romance from "The Gadfly", and the Theme and Fantasy from "Ladies in Lavender" by Nigel Hess. The album can be pre-ordered now via Amazon.co.uk (available Aug 27th) in the UK, and at Amazon.com (available Sep 11th) in the US. John Williams is to receive a Lifetime Achievement Award at the forthcoming Classic Brit Awards this year. Among the composer's existing awards are 5 Oscars, several Golden Globes, BAFTAs and many Grammys. After Walt Disney, he holds the record as the 2nd most nominated person for the Academy Awards. The nominations will be announced on 6th September with the awards ceremony held at the Royal Albert Hall on 2nd October. It is not known if John Williams will be able to attend in person. The ceremony will be hosted by Myleene Klass, and Andrea Bocelli, Nicola Benedetti and Andre Rieu will perform at the event. More details on the Classic FM site. 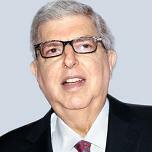 The composer and songwriter Marvin Hamlisch has died at the age of 68. Hamlisch won 2 oscars in 1974 for the score and title song of "The Way We Were" starring Robert Redford and Barbra Streisand. In the same year he also picked up the oscar for Best Adapted Score for The Sting based upon the music of Scott Joplin which helped to spark a revival of interest in Ragtime in the 1970s. He also scored the James Bond film "The Spy Who Loved Me" with its title song "Nobody Does It Better" co-written with Carole Bayer Sager, "Ordinary People" (score adaptation), "Sophie's Choice" starring Meryl Streep, the musical "A Chorus Line" on both Broadway and film, and "The Informant!" in 2009 starring Matt Damon. Nicola Benedetti appears three times at this year's Proms Series. On Sunday August 5th the Scottish violinist appears with the National Youth Orchestra of Scotland & the BBC Scottish Symphony Orchestra performing Bruch's Scottish Fantasy. While only 25 herself, Benedetti does much to support young players giving her time and experience to Big Noise based on Venezuela's El Sistema. On August 13th Benedetti returns in a Chamber concert playing Bach, Korngold and Brahms, and on the Last Night of the Proms (September 8th) Nicola Benedetti will play Bruch's Violin Concerto. More information and tickets at the BBC Proms Website. 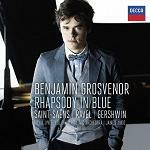 Benjamin Grosvenor is a young pianist (he turned 20 last month) who has been getting some rave reviews this past few years. He made his Proms debut last year, and this month (on 14th August) he will play Saint-Saëns' Piano Concerto No. 2 in Gm at the Proms. On the same day his album called "Rhapsody in Blue" will be released in the UK. On the album Grosvenor performs the Saint Saens 2nd Piano Concerto in Gm, Ravel's Piano Concerto in G major, George Gershwin's Rhapsody in Blue and some other works. The album can be pre-ordered at Amazon.co.uk (available Aug 14th) in the UK, and at Amazon.com (available Aug 21st) in the US. The Olympic Games in London will kick off with what promises to be a fantastic opening ceremony tonight. Although there have been several dress rehearsals this week, most of the details are being kept secret. Equally the musical side of tonight's entertainment is also being kept under wraps. But the music will be available in a double album called "Isles of Wonder" referring to the British Isles. There have been leaks and hints about the music and a lot of speculation, but all will shortly be revealed. The double album is available in the UK from 2nd August at Amazon.co.uk and in the US from 14th August at Amazon.com. 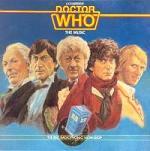 An article on Doctor Who Music has just been published today on mfiles. This is the biggest article I've done and something of a labour of love, since I started putting notes together for this many months ago. All the images and videos from the article can be seen on a Pinterest Board also called Doctor Who Music, effectively a quick summary of what the article is about. It covers the making of the Theme Music and how it has evolved over time, the sound effects as originally created by the BBC Radiophonic Workshop, and the incidental music. Many different composers have contributed to the music of Doctor Who over 50 years: strange electronic works, synthesiser sounds, small bands of musicians and now a symphony orchestra. 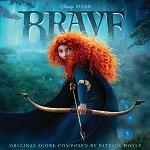 Pixar's latest movie "Brave" has already opened in the US, and received its European premiere this weekend at the Edinburgh International Film Festival. The story is set in a mythical-historical Scotland but, unlike previous hollywood attempts, the animators have put a lot of effort into creating an authentic Scottish feel. The landscape has been based on real locations, and we have some real Scottish accents from Kelly Macdonald, Billy Connolly, Emma Thompson, Robbie Coltrane & Craig Ferguson. The music score is by Patick Doyle who has looked to his Scottish roots to create a wonderfully convincing yet varied soundtrack. 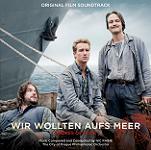 The film is not released in the UK until August, but the soundtrack is available at Amazon.co.uk and Amazon.com. Two interesting studies into musical tastes have been published. The 1st study looks at the theory that music has evolved as a way for men to show genetic fitness and attract mates. They tested the hypothesis that women prefer more complex music when ovulating, and the answer was "no" (see Scientific American). Negative research doesn't make headlines but is scientifically important! The 2nd study used a genetic algorithm to allow 2 tunes to mate to create similar offspring with occasional mutations. They allowed people to select the tunes they prefered, allowing these to combine and produce offspring. The music improves over time but reaches a plateau (see Darwin Tunes). The Series of "Conversations with Screen Composers" continues at the Royal Albert Hall with James Hannigan (on Friday 29th June) and Murray Gold (on Wednesday 11th July). James Hannigan has received much recognition for his Video Game Music particularly his musical contributions to the Harry Potter Series of video games: Order of the Phoenix, Half-Blood Prince and Deathly Hallows (Parts 1 and 2). Murray Gold's music has supported dramas in several media, and is best known as the resident composer for the Doctor Who series since the show re-launched in 2005. The Conversations Series is a joint project between BAFTA and the Royal Albert Hall and more information can be found at this page on the BAFTA website. 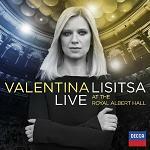 Valentina Lisitsa became an internet sensation on Youtube and now performs at concerts across the world. The Ukrainian born, US based pianist has a vast classical repertoire and is famous for her dazzling interpretations of Liszt. Here she performs Liszt's notoriously "impossible" Rondo Fantastique: El Contrabandista. She will perform at the Royal Albert Hall on June 19th and the concert will be broadcast live on YouTube. More details at the Royal Albert Hall site, click "repertoire" to see the full programme chosen by fans. The concert will be available on CD and download a few weeks later - pre-order at Amazon.co.uk and Amazon.com. 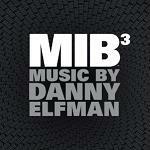 Danny Elfman has 2 new film scores out at the moment. First up is the Tim Burton/Johnny Depp movie adaptation of the TV series "Dark Shadows". Elfman keeps the film in familiar territory by putting his own spin on Robert Cobert's TV syle. 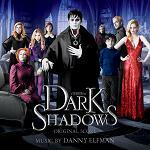 Dark Shadows is available at Amazon.co.uk and Amazon.com. Next up Elfman revisits the "Men in Black" universe, adapting some of his earlier themes and putting it all together in a fun package. MIB3 can be found at Amazon.co.uk and Amazon.com. Archeologists have discovered the remains of an ancient lyre at an excavation on the Island of Skye, Scotland. It has been dated to at least 2,300 years old and is the earliest stringed instrument ever found in Western Europe. Although the wood has been burned and broken, its purpose as the bridge of a lyre is almost certain because its end has been carefully shaped with a hole, and the side has a regular row of distinct notches to hold the strings. The find is exciting because its illustrates the cultural aspects of its Iron Age users. Outside of Western Europe the earliest known lyres were discovered in what is now Iraq and dated to 5,000 years ago. Here is the full news story on DeadlineNews. 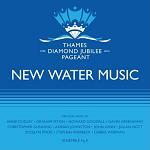 The New Water Music, specially commissioned for the Queen's Diamond Jubilee Pageant on the Thames is being released on CD - on 28th May in the UK and 5th June elsewhere. The CD can be pre-ordered now at Amazon.co.uk and Amazon.com. The track list consists of "Fast-Slow-Fast" by Anne Dudley, "Gigue" by Debbie Wiseman, "Bouree" by John Lunn, "Rigaudon" by Howard Goodall, "Air on the River" by Stephen Warbeck, "Passepied" by Gavin Greenaway, "Overture & Allegro" by Julian Knott, "Jubilee Gavotte-Rock" by Christopher Gunning, "Slowish" by Graham Fitkin, "Alla Hornpipe" by Adrian Johnson, and "London Bells" by Jocelyn Pook. Gavin Greenaway conducts "Ensemble H2.0" and more information at Diamond Jubilee Music. We're all familiar with the 1959 Ben-Hur with Charlton Heston and a stupendous score by Miklos Rozsa. This film was based on an earlier silent "Ben-Hur" dating from 1925, which in its day was the most expensive film ever made. The composer Carl Davis has composed new film scores for many films of the silent era. Scoring for silent films requires a truly syphonic approach, since there is no dialogue or sounds in the film - the only thing the audience hear is the music. 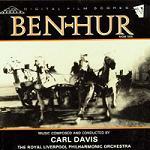 The restored version of the 1925 Ben-Hur will be screened at the Royal Festival Hall with a live performance of Davis' score conducted by the composer on 9th June (more details). If you can't attend, the music is available on CD at Amazon.co.uk and Amazon.com. We regret to report the sad passing of composer Joel Goldsmith at the age of 54. Joel was the son of Jerry Goldsmith and had worked with his father on films such as "Star Trek: First Contact". Though associated with his father's work, Joel gained experience in the industry with a number of music-related roles on film projects. His credits as composer include Steve Martin's "The Man with Two Brains", "Kull the Conqueror" and the Dean Koontz adaptation "Watchers". Latterly he was best known for his TV work particularly the "Stargate" series. Although other composers had been involved in these series, Joel Goldsmith became the main composer. You can hear his music on the "Stargate Atlantis" album available from Amazon.co.uk and Amazon.com. Two events coming up in London look at the work of Film Music and Film Composers. Harry Gregson-Williams is at the Sundance London Festival talking to Peter Golub, and exploring the creation process for film music with a live demonstration. "Magic of the Music" takes place at the O2 on 29th April, more details on the Sundance London site. Then on the 9th May Rachel Portman will be in the Elgar Room at the Royal Albert Hall in an event jointly presented with BAFTA, talking to Tommy Pearson as part of the "Conversations with Screen Composers" series. More details about that event on the Royal Albert Hall site. Although previously known primarily as an orchestrator, working with John Williams and other major film composers orchestrating, arranging and conducting their music, Conrad Pope has also composed a number of original film scores. He got a major break scoring "My Week with Marilyn" which looks at a brief period in the tumultuous life of the actress and screen icon. In this video Pope talks about his work on the film, taking the Marilyn theme by Alexandre Desplat, and arranging it in a range of styles to fit the story line. 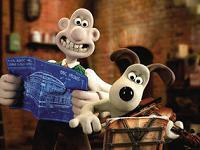 Here's another novelty animation based on classical music. Bach composed 6 suites for unaccompanied cello. All the suites start with a Prelude and the Prelude from the 1st suite is the most famous. The work consists almost entirely of arpeggios with 8 notes in each bar and that is the basis of the animation, where 8 strings are set vibrating by circling balls. The length of the string determines the pitch of the note. There's a larger version of the video at baroque.me, and here's a genuine performance of the music played by Yo-Yo Ma. Popular music has always had an obsession with lists and rankings. Music Charts have measured singles and albums, sales of vinyl, CDs and downloads. 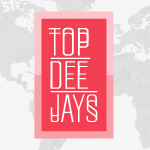 Now the new TopDeejays website ranks top electronic music producers across the globe, using Social Media popularity! The site is nicely produced, inviting user interaction by filtering on country, genre and social media network. There is a profile spot for all the Top DJs, with music & video feeds, user comments, and loads of statistics showing popularity changes over time. The algorithm is a simple one, but it's interesting that Youtube subscribers and Soundcloud followers are worth much more than Twitter followers or Facebook likes! Congratulations to Andrew Hale and Simon Hale for winning the BAFTA for Best Original Score for the Video Game "L.A. Noire". 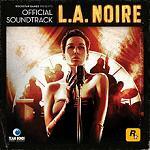 The game is available for many platforms and is set in Los Angeles in 1947. The player takes on the role of an LAPD detective, trying to solve a range of crime cases, investigating crime scenes for clues, interrogating suspects, etc. The game is true to its film-noire style setting, both visually and in terms of its music. The original music by Andrew & Simon Hale is available to download at Amazon.com, and there are a range of other albums with Jazz and Big Band tracks and modern Remixes of some Jazz standards. A researcher in Japan, has made violin strings by bundling together and twisting filaments of spider silk. The lowest and thickest violin string, the G-string, required a total of 15000 filaments. Using an electronic microscope he observed that the filaments changed their cross-sectional shape when twisted, thus fitting together more neatly than cylindrical filaments would. This may contribute to the unique tone of the silk strings. This research was reported in New Scientist and you can hear and compare silk, steel and nylon strings in the video accompanying the New Scientist article. Robert B. Sherman died on Monday at the age of 86. He and his brother Richard were the song-writing duo who created the music for many Disney Classics in the 1960s and 1970s. They wrote the songs for Mary Poppins, The Jungle Book, Chitty Chitty Bang Bang, The Sword in the Stone, Bedknobs and Broomsticks, The Happiest Millionaire, The AristoCats, The Slipper and the Rose and several Winnie the Pooh movies, with some films seeing new life as stage musicals. Without the Sherman Brothers, we wouldn't have songs like "Supercalifragilisticexpialidocious", "Chim-Chim-Cheree", "I Wanna Be Like You", "Colonel Hathi's March", "Truly Scrumptious", "Chitty Chitty Bang Bang", "The Wonderful Thing About Tiggers" and "Winnie the Pooh". 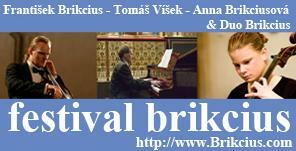 This year sees British composers contributing to two major events. 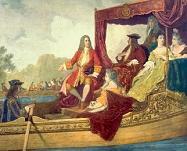 The Queen's Diamond Jubilee in June will include a recreation of the events which gave birth to Handel's Water Music. A flotilla of boats will carry the Royal Party and guests for the River Thames Pageant, including a performance of some new Water Music. 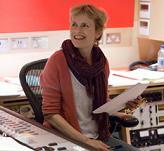 Composers contributing to the new Water Music Suite are Debbie Wiseman (Wilde), Christopher Gunning (Poirot), Stephen Warbeck (Shakespeare in Love), Jocelyn Pook (Eyes Wide Shut), Anne Dudley (The Full Monty), Graham Fitkin (known for his concert works), Gavin Greenaway (known mainly as a conductor), Adrian Johnston (Becoming Jane), John Lunn (Downtown Abbey) and Julian Nott (Wallace & Gromit). Meanwhile David Arnold (James Bond, Sherlock) is preparing "A Symphony of British Music" as Music Director for the 2012 London Olympics. We have now added Francis Lai to our film composers section. Lai's most famous film scores include "Un Homme et Une Femme", "Vivre Pour Vivre", "Le Passager de la Pluie", "Bilitis" and of course "Love Story" with its famous song "Where Do I Begin". For a while he also composed songs for Edith Piaf and accompanied the singer on the piano, and one of his instrumental tracks was adapted to become the TV theme for the BBC's Panorama. A recent compilation album is "Francis Lai: The Essential Film Music Collection" which has his most famous music from "Un Homme et Une Femme", "Love Story", "Bilitis", "Emmanuelle II", "Vivre pour Vivre", "13 Jours en France", "Mayerling", and more. It is available at Amazon.co.uk and Amazon.com. A new book has been published called "Henry Mancini: Reinventing Film Music". It is a study of the composer's music by John Caps, who describes Mancini's film music as a bridge between the traditional orchestral film scores and the Big Band sound on the one hand, and the modern minimalist approach to film scoring on the other. His music embraces pop music and jazz and meets the needs of a new consumer generation. The book's photo section illustrates Mancini's music career pictured with a selection of artists he collaborated with, but also shows Henry Mancini the family man. John Caps certainly knows his film music: he previously presented four seasons of the radio show "The Cinema Soundtrack". His book is available at Amazon.co.uk and Amazon.com. Following yesterday's Oscars, The Artist's film score has won all the major film awards: at the Golden Globes, the BAFTAs, and now the Oscars. Congratulations to Ludovic Bource, the relatively unknown French composer who has now hit the big time. 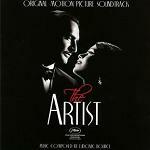 We hope to publish a full review of his score for The Artist in due course, but for now suffice it to say that his music takes its inspiration from old-school hollywood movies of the 1930s. It is interesting that music takes on a more prominent role in a silent movie, and that Hollywood has embraced a French produced film about its early years. 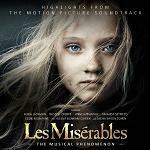 The movie soundtrack is available at Amazon.com and at Amazon.co.uk. Continuing our focus on John Williams, who has 2 scores nominated in this year's oscars, is news of "A Tribute to John Williams - An 80th Birthday Celebration". This tribute album includes tracks from his early successes Jaws, E.T. and Star Wars, but also brings us fully up to date with War Horse and The Adventures of Tintin. The album also celebrates two of the composer's significant collaborations with solo artists: Itzhak Perlman who played the haunting violin solos on Schindler's List, and Yo-Yo Ma whose cello memorably featured on Memoirs of a Geisha. 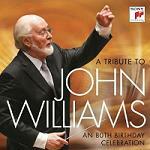 The album closes appropriately with Williams' own "Happy Birthday Variations". The album is available at Amazon.com from 28th February and at Amazon.co.uk from 5th March. February 14th - Chocolate for Valentine's Day! Cadbury's adverts have always been known for their inventiveness, and excellent use of music (remember the gorilla ad?). For their latest ad, a surreal world has been enhanced with music from the equally surreal (if rather more dystopian) movie "Brazil". Here's the same music on this Brazil movie clip. The film was scored by composer Michael Kamen who arranged the song in lots of different ways. Kamen is best known for working with Bryan Adams on the hit song from "Robin Hood: Prince of Thieves", and other rock musicians include Pink Floyd, Metallica, Eric Clapton and Sting. Celebrities well-known for one thing often cross-over into other artistic pursuits. Sometimes the cross-over works and sometimes it doesn't. With Sir Anthony Hopkins, famous for his acting roles, the cross-over into composing is a much bigger leap than others have tackled, but in this case it certainly works. 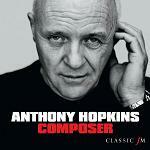 The "Composer" album was recorded live at a concert last year which included Hopkins' own music as well as music from his films. His own compositions range from lyrical works to action pieces, incorporating stylistic influences from 20th century classical composers, with touches of jazz and a large helping of cinematic scale helped by some great performances from the City of Birmingham Symphony Orchestra and Chorus. Well worth a listen, the album is available at Amazon.co.uk and Amazon.com. Philip Glass celebrated his 75th birthday yesterday, a composer whose wide-ranging music has had a major impact on musical tastes across many spheres. To mark the occasion Sony have released "The Essential Philip Glass" which looks at his significant contributions to musical theatre, to film and to concert music, while also exploring his collaborations with artists such as the Kronos Quartet and Yo-Yo Ma. The package is listed as being on 3 CDs though the versions currently available are for download only. Try the following links at Amazon.co.uk and Amazon.com for more information. Sherlock Series 2 has now been shown, and Series 3 will tell us just how Holmes did it! But the music for the series, created jointly between David Arnold and Michael Price, is a key ingredient in the success of the series. This soundtrack album contains music from the Series 1 which introduced the characters of Sherlock and Watson in the present day world. The album will be available first in the UK from 30th January at this link Amazon.co.uk and in the US from 27th March at this link Amazon.com. Meanwhile the series 6 soundtrack from that other Steven Moffat series Doctor Who comes on 2 CDs at Amazon.co.uk (now) and Amazon.com (from 28th February). Following the Oscar Nominations announced yesterday, composer John Williams is now in the record books. For many years Fox music supremo Alfred Newman held the record number of music nominations with a total of 45. John Williams had caught up with him in 2005 with nominations for "Memoires of a Geisha" and "Munich", but following his new nominations for The Adventures of Tintin and "War Horse" Williams now holds the record with 47. The only person in any category with more nominations is Walt Disney with 59. By the time of the oscar ceremony on February 26th Williams will have reached his 80th birthday. Previous Music Oscar winners are listed on our Film Music Oscars page. Virtual Symphonies and Choirs are a growing phenomena on to the internet. The latest example is the "Little Symphony" where people from all over the world play together without actually meeting. Their first video at the left is a performance of Pachelbel's Canon in D. For other examples try Eric Whitacre's Sleep (a virtual choir project), the Allegro Youth Orchestra playing Handel and Youtube's own annual Symphony Project which combines videos to create virtual orchestras before the best players come together for real. This intimate yet passionate recording by violinist Joshua Bell and pianist Jeremy Denk focuses on the chamber repertoire of the French Impressionist composers. The works included are Camille Saint-Saëns - Violin Sonata No. 1 in D Minor Op 75 (1885), César Franck - Violin Sonata in A Major (1886), and Maurice Ravel - Violin Sonata in G Major (1927). The two musicians have busy recital schedules in 2012, performing widely across the US and within Europe, and they will come together starting in May for a series of joint concerts. The CD is available from these links at Amazon.co.uk and Amazon.com. Today Music Files has announced it will discontinue its MP3 Price Comparison Service. We apologise to any customers who use the facility, but despite our best efforts we have been unable to sustain a service that was sufficiently reliable and commercially viable. The service was launched in late 2009 in partnership with MP3 Puzzled, instantly comparing prices for MP3 downloads across online stores including Amazon, iTunes, Play.com, Tesco, 7Digital and We7. Jim Paterson said "One of my biggest regrets was that the service was restricted to UK online stores, while we would very much have liked to expand into the North American market." The service will be dismantled by the end of the month. The composer David Whitaker has died this week. David Whitaker is probably best know for his Hammer film scores "Dr. Jekyll and Sister Hyde", "Vampire Circus" and "That's Your Funeral" in the early 1970s, though he has created a variety of well-regarded film scores from "Run Wild, Run Free" in the late 1960s through to "The Sword and the Sorcerer" in the 1980s. In 2000 he was nominated for a César (French oscar) for "With a Friend Like Harry..." and in 2002 he released an album "The David Whitaker Songbook" with a mix of his own songs and some arrangements and collaborations. To hear his music try the "Hammer Film Music Collection Vol.1" at Amazon.co.uk and Amazon.com, or "The David Whitaker Songbook" at Amazon.co.uk and Amazon.com. 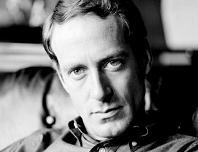 Last Monday BBC Radio 2 broadcast a programme called "Beyond Bond" about the composer John Barry, presented by lyricist and frequent collaborator Don Black. There's just 24 hours left to hear the programme on iPlayer - go to this link on the BBC website. The programme is full of musical examples of Barry's work from the theme to "Thunderball" to his oscar-winning music for "Dances with Wolves". Along the way the programme explores Barry's collaborations with singers from Adam Faith and Michael Crawford to Shirley Bassey on those Bond songs, with many personal anecdotes by Black including Tom Jones fainting while recording the Thunderball theme!